Mount Bromo Tour Package 2019, From Surabaya Malang Cheap Price. MT BROMO TOUR PACKAGE: Yogyakarta, Bromo, and Ijen Crater tour for 5D4N should be enough to explore Jogja, Bromo, and Ijen. You can add other optional destinations too. Just call us. Tour package of Jogjakarta, Bromo Mountain and Ijen volcano 5D4N or Yogyakarta, Bromo, and Ijen Crater 5 Day Tour Package is the most wanted tour package in Java. This tour package starts from Jogjakarta then to do city tour of JOGJA, and go direct to Gunung Bromo region and proceeds to Ijen Crater for the last trip. So, at the first and second day, you will explore Jogja. The third day will travel to Mt. Bromo. Then at the fourth day, you will explore Mt. Bromo. The last day, you will witness the amazing of blue fire and Ijen crater and drop you off to Bali of Ketapang Harbor Banyuwangi. At the day 1, we will pick you up at your arrival at Yogyakarta airport, bus or train station or hotel. 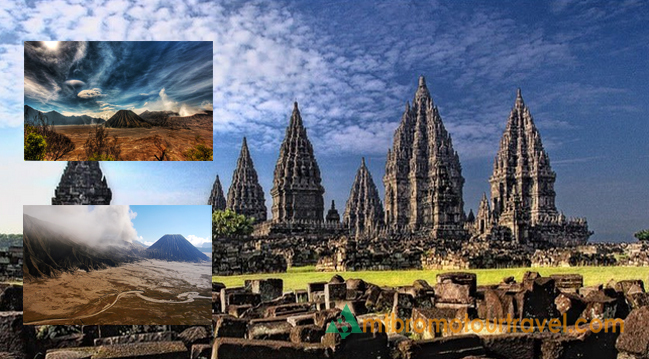 Then, continue to visit Prambanan Temple, Sewu and Boko Temple for the second visit. At night, you can explore the nightlife of Jogjakarta. This should be awesome. Day 2; the day will be started by visiting Borobudur, Pawon and Mendut Temple. It takes 45 minutes from Jogja to Borobudur area. After finish exploring Borobudur temple, then we back to Yogyakarta to visit Kraton, Water castle, silversmith,and batik market. Then back to hotel and free program, at night you can visit to Malioboro for shopping souvenir. Day 3, it is the time to Mount Bromo area (it needs about 10 hours drive or more). On the way, we will stop in Solo city to visit Mangku Negaran Palace. At late at night, we arrive in the area of Mount Bromo. Check in at hotel near Bromo and free program. Day 4, in the early morning we will climb to the Pananjakan point by jeep to witness an amazing and stunning golden sunrise of Bromo that is very popular. Then we will go to Bromo crater that still active volcano. Time to come back to hotel, having breakfast and we will transfer you by 5 hours driving to Ijen area. On the afternoon of arrival in the area of Mount Ijen, check in at the guesthouse and free program. The last day is to explore Ijen crater. Early morning we will climb Ijen to witness blue fire and its crater. Ijen crater is a giant crater and measured 1.2 km and a diameter of 180 meters depth. It is a place for traditional miner sulfur Ijen. After finished exploring Mt Ijen and surrounding areas, then we drive to Bali island or to Airport/Ketapang Harbor Banyuwangi. The tour ends. For starting trip in Yogyakarta, please take a flight by arrival at 09.00am in the morning. For the flight back on 5th day please take a flight by the departure around 12.00pm in Banyuwangi or at 10.00am at the Ketapang Harbor cross to Bali. Mt Bromo and Ijen Entrance ticket for foreigner. This entry was posted in package on April 5, 2018 by admin. 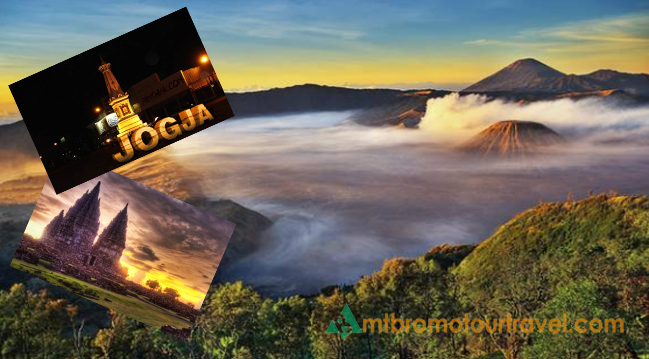 MT BROMO TOUR PACKAGE: Tour package of Jogja and Mt. Bromo for 4 days and 3 nights can be an amazing experience since you have a long time to explore Mt. Bromo and Batu Malang. Mount Bromo with it’s all natural beauties and the culture of its people become the prima donna of tourism in Indonesia. Mount Bromo always attract visitors everyday who come from various regions such as Jakarta, Bandung, Surabaya, Bali, Semarang, including also from Jogja even from Asia, Amerika or Europe countries. 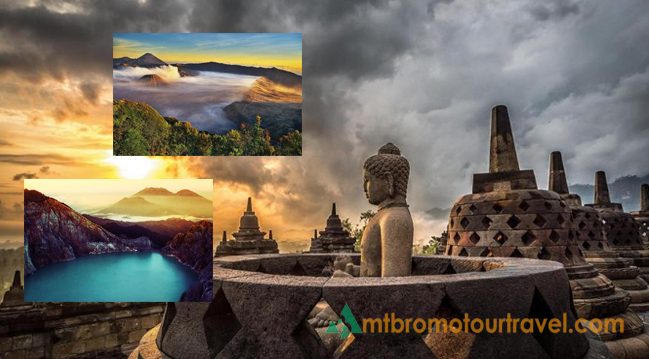 If you will start your journey to Mount Bromo from Jogjakarta, you can choose a Yogyakarta City Tour and Mt Bromo Tour 4 Day 3 Night, but before going to Mt Bromo you will explore City Tour of Jogja first. Jogjakarta offers many tourist attractions starting from its culture, history to its culinary. You can start your journey in Jogja from Malioboro to Keraton then continue to Borobudur or Prambanan Temple. This is for the short day in Jogja before you travel to Mt. Bromo, which takes more than 12 hours of driving. You can spend 1 day in Jogja. We can give you some recommendations. At the day 1,we will pick you up in train or bus station, hotel or airport in Jogjakarta to directly exploring Jogja such as Perambanan Temple and Ratu BOKO Temple that the popular attraction in Yogyakarta, after visiting that attraction then you can go to hotel, check in and short break. At night after having dinner you can go to Malioboro for shopping souvenir. At the second day: After having breakfast, then time to visit BOROBUDUR Temple a tourist spot known for the 7 wonders of the world, after this you can visit to Keraton and Sultan Palace, in the after noon, you will visiting Parangtritis Beach and Indrayanti beach to see the Sunset. Then we can go back to hotel and rest. At the Third day: After checking out, you will travel from Jogja to Mount Bromo, East Java by duration 12 hours. After arriving at the area around Mt. Bromo, you will directly check in to the hotel and rest. Then you have a free program. At the last day: In the morning you will depart to Penanjakan view point to enjoy the golden sunrise by JEEP or Hardtop. Then you will visit Savannah, Whispering Sand, and Hills of Teletubbies. Then you can back to the hotel after you enjoy that tour in Bromo. Time to packing and check out and transfer you to Surabaya and finish Program. For the flight back on 4th day please take a flight by the departure around 16.00pm in Surabaya. Mt Bromo Entrance ticket for foreigner. This entry was posted in package on March 30, 2018 by admin. MT BROMO TOUR PACKAGE: Tour Travel to Mt. Bromo from Yogyakarta/JOGJA may take some long hours but it is worth ed since you can rent a car and witness the amazing golden sunrise of Bromo. Tour to Mount Bromo is one of the famous tourist destinations in East Java. Mount Bromo is located in Probolinggo, Pasuruan and Malang districts. To reach the tour to Mount Bromo there are 2 choices of pathways that are often used by tourists. It is through Tosari via Pasuruan and Ngadisari, Probolinggo. In both places, we can easily find the facilities of star hotels to a class of jasmine according to your budget. By good car and experienced driver, travel from Yogyakarta to Mount Bromo can reach 10-12 hours depending on traffic on the way. The word of Bromo is derived from one of the Brahma’s names in Hindu religious belief. Tengger Tribe is a native tribe of Mount Bromo people, who are predominantly Hindus and are residents of the Majapahit Kingdom. That is why in Mount Bromo, there is also Temple of Hindu worshiper. Here, every year the Kasada event is held, to hand over and to be dear to Lord Brahma in the crater of Mount Bromo. Mount Bromo according to the beliefs of Tengger people, as a holy place where God Brahma resides. There are more to explore in Bromo from Yogyakarta. A great time to see the beauty of Mount Bromo is the sunrise. In addition, we suggest to you from Surabaya or Yogyakarta to rent a car to Mount Bromo for your comfortable journey. Tour Travel to Mt Bromo from Yogyakarta Central Java has duration 2 days 1 night that starting in the morning from JOGJA then to East Java by duration 11 hours drive, when you reach mt Bromo, you can stay overnight at hotel around Bromo. After resting at Hotel, in the morning, You can witness the golden sunrise from Penanjakan View point. Penanjakan is 2,750 M above sea level. Here you can see the sun rising very beautiful with the expanse of sea sand and the crater of Mount Bromo with the background of Mount Semeru, one of the highest mountains in Indonesia. After from Penanjakan to see the sunrise, you can go to the crater of Bromo by passing sea of sand with blanketed mist in the temperature of 3-20 degree Celsius. It is advisable to bring a jacket or sweater on a trip in Bromo. After that, you will go to the crater of Bromo by walking or can rent a horse to get to the crater of Mount Bromo. Then after finishing tour Bromo, we will take you home to Surabaya for ending this trip. How to do Tour Travel to Mt Bromo from Yogyakarta Central Java, Indonesia ? For starting in Yogyakarta, please preparation you tour from in the morning 07.00am. For the flight back on 2nd day please take a flight by the departure around 03.00,04.00pm in Surabaya. This entry was posted in package on March 28, 2018 by admin. MT BROMO TOUR PACKAGE: This can be said as one of the best tour packages in East Java, since you will experience adventure in City of Malang Batu, Mt Bromo and challenge yourself by rafting at Songa Adventure. Tour Packages Bromo Travel offers a combination package of visits to City Tour Malang Batu, Mount Bromo and experiences Songa Rafting in Pekalen Probolinggo. This package offers natural beauty and quite sensational challenges in Mount Bromo and rafting in Pekalen using Songa Adventure Rafting bureau with a short duration of 3 days 2 night. You must be curious and want to try it, right? This Best Tour Package for Malang, Bromo and Songa Rafting Probolinggo consists of a minimum of 4 participants, this is because at the time of rafting, in 1 boat has a minimum capacity of 4-5 people. This adventure offers extraordinary natural beauty during the rafting. Do not need to worry as we provide an affordable price by not reducing the existing facilities, and of course, this holiday experience will be very memorable for you and your family. The Second day still in City of Batu Malang. After checking out you can explore some attractions such as visiting Coban Rondo Waterfall, then to be continue to Taman Langit and Wooden House Batu Malang, After enjoying this attraction and visit to Picking Apple in the farmer Garden as the last trip in Batu. Then after exploring Batu then continue the journey to the village of Cemoro Lawang. After reaching the area of Mt Bromo, check in hotel, then take a break at the local hotel. The Last day is Bromo sunrise tour. In the early morning, you will be at the facility using Jeep transport. With the Jeep vehicle, you will be invited to an adventure and enjoy Bromo tour. First, you will be invited to the Penanjakan peak 1 Bromo to see the beautiful golden sunrise. Then, in the morning, you can see the crater of Bromo at the top of Bromo. After that, your next journey is to savanna meadows or commonly known as Teletubbies Hill, Whispering Desert. After check out from hotel in Bromo, this time continue to the location rafting Songa Pekalen. Then we will take you to Probolinggo where the rafting adventure is offered. The rafting itself will take about 2 or 3 hours to complete. After doing rafting Songa Pekalen, then proceed for lunch, copying documents and then delivered to Surabaya airport, bus or train station. and Finish Program. This entry was posted in package on March 24, 2018 by admin. MT BROMO TOUR PACKAGE: Promo Travel Package of Cheaper price for Malang Batu city tour during 3 day doesn’t mean you will not get what you want. The package is to fulfill what you want from this tour. This time we offer a longer tour program for holidays in Malang especially in Batu city for 3 days 2 nights. This tour package is perfect for family holiday. This is because the attractions are suitable for all ages both adults and for children. This package is also a great option as a study tour program of school since the places or attractions that will be visited can be categorized as educational places. To complete this tour package, we will explain the trip from Cheap Price for Malang City Tour Package 3 Day from the first day until the trip is completed, this we do to facilitate you to make a booking tour package with us. At the first day, you will be picked up from Malang or Surabaya. 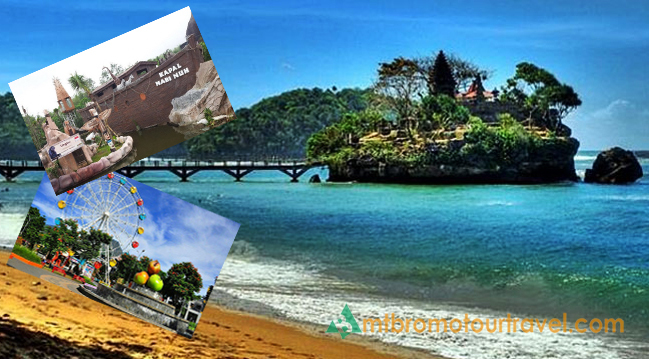 For your initial purpose, we will invite to go to Bale Kambang beach in Malang regency, after enjoying the incredible beach then go to city of Batu, upon arrival in Batu then visit to Apple Garden which you can directly harvest the fruits from the tree. Then you will be escorted to Selecta Tourist Park. 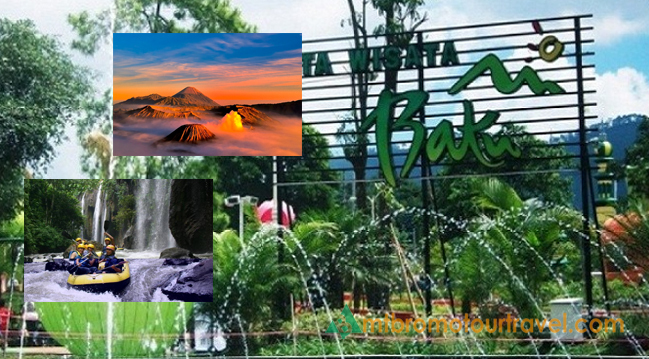 Selecta Tourism Park is one of the attractions in the city of Batu. After that, we will drive you to the hotel, check in, rest and free program. While waiting for the evening, you can relax at the hotel with family or relatives. When you are ready to go back for a night tour, Batu city will be presenting a nightlife tour in the form of Batu Night Spectacular. At the second day, after breakfast, we will take you to the waterfall as high as 84 meters. It is Coban Rondo Waterfall. This waterfall has an amazing natural scenery and cool air. Then, you will go to Jatim Park 2, there are Batu Secret Zoo and Wildlife Museum including to Eco Green Park that presents rich educational tour. Do not forget to visit Museum of Transportation to see transportation exhibition and mask collection, which of course contain a high educational value. At the last day, you will be invited to shop fruits, souvenirs and many more. then we will transfer you back to Surabaya or Malang airport for finish program of Cheap Price for Malang City Tour Package 3 Day. My advice to do Cheap Price for Malang City Tour Package 3 Days 2 nights in East Java ? For arrival in Surabaya please you can take a flight by the arrival by normal time at 08.00am. For the flight back please on the 3rd please take a flight by the departure around 15.00pm in the afternoon in Surabaya. Just please contact us again to get the cheap price tour package program. We will explain the full range of facilities and the price. You will never regret asking as for this tour package detail. Remember, you can arrange your self for the tour schedule. We will give you some recommendations as like above program. This entry was posted in package on March 20, 2018 by admin.